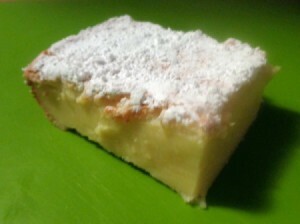 A unique cake with a custard center. Easier than it looks. It starts out as basic cake batter and turns into a custard layer cake. Be sure to try the Chocolate version too! Line 8 x 8 inch baking dish with parchment paper. Add butter and vanilla. Beat 2 minutes. 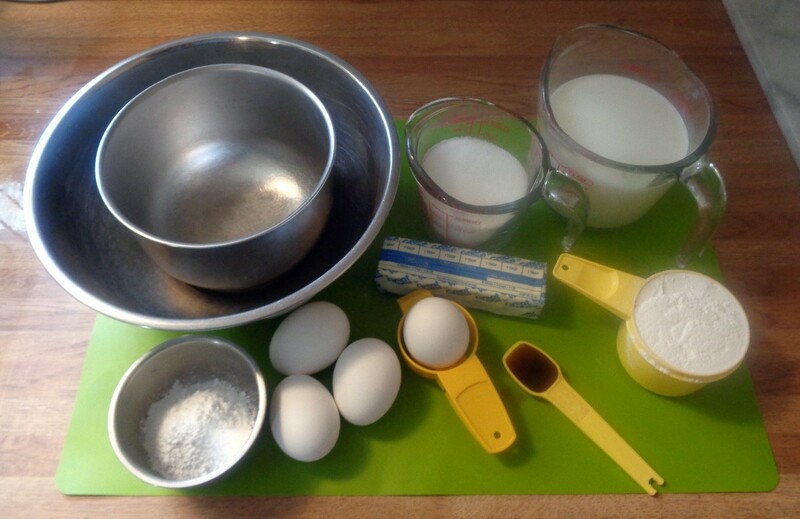 Gently fold in the egg whites using a spatula, a third at a time. Repeat until all the whipped egg whites are folded in. You will no longer have large white clumps. Pour batter into baking dish and bake approx. 60 minutes until top is lightly golden. Cool to room temperature, and then chill. This looks really good. Do I need to use regular whole milk, or may I use almond milk? Thank you for sharing. Cocoa?? Is in this recipe for custard layer cake. I can't imagine because it is pictured yellow custard???? I removed the cocoa from that recipe. I think it was left over from a chocolate version that was shared as well.